Miniature horses are adorable, make wonderful pets, and can be a popular feature at a petting zoo. They are also renowned for assisting disabled owners, serving as a guide and a companion. What’s more, the horses have various coat patterns and colors. Interestingly, miniature horses, on average, live longer than the majority of horse breeds, with a life expectancy between 25-35 years. Although it is true that miniature horses can serve as wonderful pets, research has shown that they prefer to live outdoors. Certainly, they can spend time with owners indoors, which is an especially critical component while working with disabled owners. Nonetheless, just like regular horses, miniature horses need to live outdoors. They need a warm place to sleep outdoors and ample space to roam. 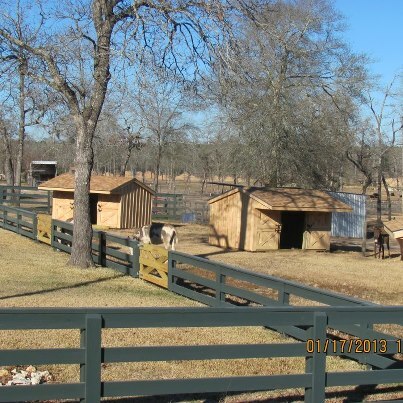 Deer Creek Structures can build a customized barn or run-in-shed for your miniature horses. Recently, we completed a couple of cute little barns for the miniature horses at Todd Missions’ Petting Zoo (as seen below). The barns were custom-built, specific to the size of their miniatures, and will serve as the perfect home for those adorable animals. If you have any questions about the services we offer, please don’t hesitate to contact us!